The new Silence 1073.060 recirculation pump. 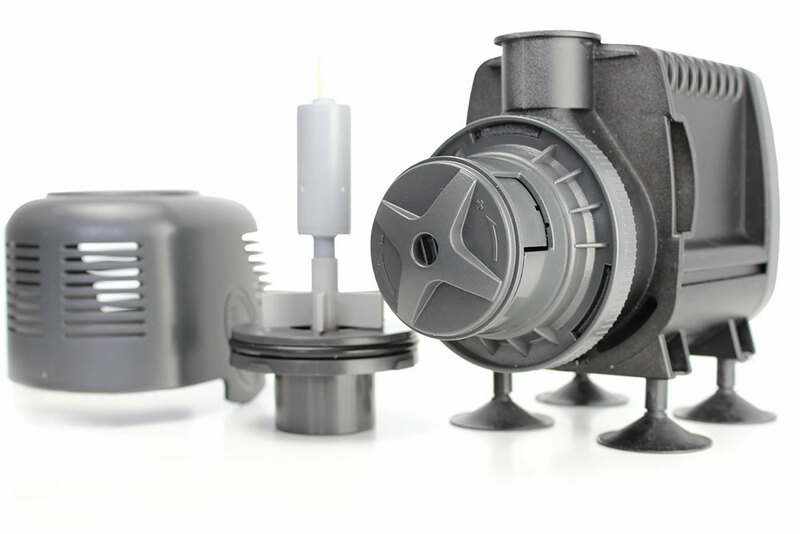 The new and ergonomically designed TUNZE® Silence 1073.060 recirculation pump with a capacity of 5,000 l/h (1,321 US gal./h) is based on the latest technological standard of synchronous motors for aquarium pumps and offers extreme reliability with low maintenance and marginal power consumption at the same time. It unites all the benefits asked for modern and vigorous multi-purpose pumps intended for the use in fresh water and marine aquariums. High quality and as a result the continuous operation of the pump for many years with low maintenance is ensured by the process of manufacturing. The Silence 1073.060 recirculation pump is constructed according to the strictest international safety standards and ensures a stable standing by four integrated suction cups. Extremely silent operation, rotor with one-piece high performance magnet, full ceramic bearing, marginal power consumption, adjustable capacity, for the use in the water and in the air, 1’’ und ¾’’ GAS thread, compatible with PVC pipes, such as for calcium reactors or filters.